Breck led her into the family room where a fire burned brightly in the hearth. The Christmas tree was in the same place as last year, its branches decked out with shiny balls and twinkling white lights. Food for Poe combines the magic of Christmas with the whimsy of light romance, a creepy folktale, and one very special cat. It’s been described as “feel good tale” with a touch of the paranormal. Available for .99c, it can purchased be from AMAZON. Ciao, amici! Staci here. I, too, am sharing two lines from a Christmas novella. Mine is called When We Finally Kiss Goodnight. Near a stately limestone fireplace stood a two-story Fraser fir festooned with gold ribbons, burgundy clusters of balls, bronze spires, etched-glass ornaments, and giant blush poinsettias with gilded edges. Thousands of white lights twinkled through the needles and reflected off the decorations. When We Finally Kiss Goodnight has been called a “charming holiday romance” and I’m told it heats things up on a cold winter’s night. It’s a one-that-got-away/second-chance-at-love tale with elements of romance, humor, and folklore. Available for 99¢, you can download it here from your favorite eBook store. Hi Gang. Craig here, and we have to remember the theme is tree, and not Christmas. This is my way of saying my snippet is a bit creepier. This is a full novel called Will O’ the Wisp. Will O’ the Wisp is available on Amazon for $2.99. She strained her eyes, and tried to penetrate the thick gloom within the old oaks that surrounded the garden. But she couldn’t make anything out; nevertheless, her guts had clenched tight, and she just knew that either somebody or something was in there. The Glade is available via Amazon priced at $2.99 US and £1.99 UK. It’s FREE if you’re on Kindle Unlimited. If you’re looking for a cosy Christmas Read, don’t buy this book! Hi, SE Readers. Joan here. I’m sharing a couple of lines from Unknown Reasons, a romantic suspense novel and the second book of my Driscoll Lake series. The blaze had been an accident. He was sitting on the rickety back porch of the old structure puffing on a Marlboro when he heard a car. His mother would have been furious to know about his newly acquired habits, although he often thought she suspected something. It was possible she had followed him, so he tossed the cigarette and ran for cover in the nearby woods. Here’s a brief excerpt from a review: Brian is a reformed bad boy with something to prove and Rachel… Rachel was born into wealth but never let it influence her. Unfortunately, it influences how others perceive her. If opposites attract, then these two are destined to come together. If they manage it, they’ll set the town ablaze. Too bad someone beat them to it. Unknown Reasons is available in both eBook and paperback. The eBook is only $2.99. Click here for the universal purchase link. Athson braced himself against a tree. “Go away, father. You’re dead.” Fir limbs caressed his face and clothing as Athson marched into his camp. The Bow of Destiny is available on Amazon in e-book (also Kindle Unlimited) and Audible where it’s performed by Tim Bruce. The e-book is only $0.99 and print will be offered ivery soon! Please leave your comments below and feel free to share using one of the available buttons. Thanks for reading along today! Lovely to see all these wonderful books grouped together. Thanks, Robbie. Glad you could drop by! Do you have a tree-themed excerpt you’d like to share? We’d love to hear it. Check out this post from The Story Empire Blog on the topic of Building on a Theme. Ar’ch looked out to his and Sofia’s willow tree and frowned. The once beautifully golden willow tree now shone a shiny silver, and he hated it. As he stared at it and contemplated why it had changed, he gasped in horror as an entire branch broke off and crumbled to the ground. The tree had never even lost a leaf, and now it was starting to fall apart. That’s really intriguing, thanks for sharing it. I love that series, Yvette. I remember that passage well. Partly because willow trees are significant to me personally, partly because it was such a powerful scene. Thanks for sharing. I grew up with a HUGE willow tree in my back yard. It was always place of magic for me. There is a saying that “magic lives in old oaks” but I think it lives in willow trees. That’s beautiful imagery, Bette. Thanks for sharing! Wonderful, Bette. I loved Dog Boone Soup!! Great taste of each of your books. Super job. Many thanks, John. Do you have a tree-themed line or two you’d like to share? If a man is in the forest all alone and says something. Is he still wrong? Great excerpts! Congratulations, Mae and Staci on the Christmas novellas. Trees can most likely be found in some form or another in almost every story. I’ve never really thought about it, but they can help establish a setting, a mood, or a plot. Great post! Thank you, Jan. I agree; trees do a great job of establishing mood. I’d love to hear an excerpt from one of your works. Here’s an excerpt from a short story where a Christmas tree was the focus. Oh! That hit me right in the heart. Thanks for sharing, Jan. The shadows had lengthened since they’d started out just after lunch, and now stretched long, dark fingers through the broad branches of towering hemlock and fir trees. This is from my WIP, Skating on Thin Ice, a romantic suspense novel. That’s hauntingly beautiful. Thanks for sharing. Extremely vivid, Jacquie. I can see those shadows! 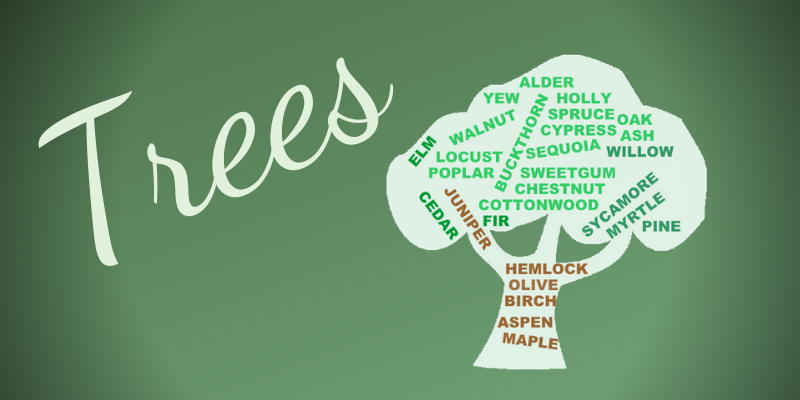 I like the word tree and all your excerpts using it. I’ve read most of the books and have the others on my kindle to read! Have a great weekend. I don’t suppose you’d like to share a line from your work? “No, wait!” Lynn declared to the old tree stump. “Warren had a rich friend who went to the Catholic school!” But she couldn’t come up with a name, so she sat down and took in the scenery, including a small patch of orange poppies off to her left. It was beautiful and isolated. Any other time, she’d love being in such a secluded place; but now all she wanted to do was run into anyone. Awesome, Denise. I loved The Button! This was an excellent excerpt. I especially liked the twist with a tree “stump” rather than a tree. Great example of showing us Lynn’s mindset in the scene! Chills, Sue. Totally gave me chills… and I’d already read it in the book! I’ve read every book listed here, and I thoroughly enjoyed them. Great selections, one and all. I hope our readers start sharing their quotes. I’d love to see their tree-related lines. What a fun idea! Loved each and every sample. Thanks, Sue. We always have fun with these group posts! I know you have a snippet regarding trees that would be great fun for you to share. I agree, Harmony. We have out little copse of varying trees, LOL! Happy weekend!